Researchers in the MU College of Education have found evidence that children doing well in classrooms are more popular and emotionally secure than their peers who are having trouble academically. COLUMBIA, Mo. – A new study suggests that children doing well in classrooms are more popular and emotionally secure than their peers who are having trouble academically. The research from the University of Missouri directly challenges the common stereotype that academically gifted children are considered less popular than their peers. The findings also confirm the significant impact academic performance can have on a student’s mental and social well-being. Herman’s team studied 380 elementary school children and their teachers to examine how early academic struggles can lead to future depressive symptoms. Teachers in first and second grade rated how well-liked a student seemed to be by their peers. Findings from the study indicated that academic problems in first grade led to lower levels of likeability in second grade, which in turn predicted depression in third grade. Herman says teachers and students can use this knowledge to find ways to help students address academic and social challenges before they have a lasting negative impact. He suggests that teachers and parents be wary of any subtle messages and judgements they might be sending to children who are experiencing troubles in class or with peers, while finding ways to identify and help children experiencing difficulties with math and reading. “Does child likeability mediate the link between academic competence and depressive symptoms in early elementary school?” was published in Child Development. 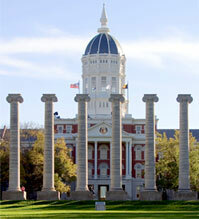 Coauthors within the MU College of Education include Caroline G. Hodgeson, Colleen L. Eddy, Daniel R. Cohen and Wendy M. Reinke. Lori Burrell, research associate at John Hopkins University; Elizabeth C. McFarlane, associate professor at the University of Hawaii; and Anne K. Duggan, professor at John Hopkins University also contributed. Funding for this project was supported by grants from the Federal Maternal and Child Health Bureau, the Robert Wood Johnson Foundation, the Annie E. Casey Foundation, the David and Lucile Packard Foundation and the Hawaii State Department of Health.